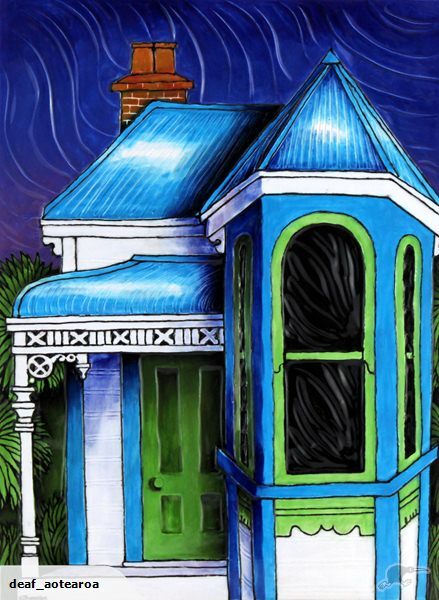 Vinny Thompson, well known Wellington artist and proud New Zealand Sign Language supporter, has very kindly donated this beautiful one-off art work. Vinny's works are highly regarded and very collectable. We have put up an auction on Trade Me with all proceeds going to assist two Deaf youth representing New Zealand at the World Federation of the Deaf Children's Camp at Gallaudet University, Washington DC during 1-8 August 2014. We sincerely thank Vinny for her wonderful support. Just a final reminder that the Sign Language Interpreters Association of New Zealand's Annual General Meeting will take place this weekend. SLIANZ look forward to seeing as many of you there as possible. As announced earlier this year, from 1 July the Ministry of Social Development (MSD) will start tenancy reviews for people living in Housing New Zealand properties and paying market rent. The Government wants social housing to be available for people and families most in need. Tenancy reviews are to make sure that people living in social housing still need it, and if they do, that the house continues to meet their needs. The Ministry has said it will aim to review around 800 tenants in the 12 months from 1 July 2014. We’re taking a gradual approach to the reviews throughout the year, incorporating learnings as we go. Each review will consider the client’s individual needs and circumstances. The tenant will be invited to talk with a specialist case manager housing. This will enable us to gather all the information we need to determine whether they still need social housing or whether, with help, they can transition into housing in the private sector. For more information download the tenancy review factsheet. If you have any questions about tenancy reviews email social_housing@msd.govt.nz. people who’ve contacted us about a specific housing need. a non-recoverable one-off payment to social housing tenants who voluntarily move into private housing. Before granting these payments we’ll take into account existing available assistance such as advance of benefit, special needs grants, recoverable assistance payments and the accommodation supplement. 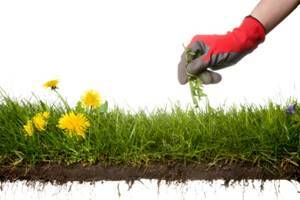 We’ll base our decisions on the client’s situation, needs and what will make a positive difference to their household. Find out more about these products on the Housing website. If you have any questions about the housing support products email social_housing@msd.govt.nz. Most people getting financial assistance from the Ministry of Social Development do the right thing and tell us about changes that could affect their payments. However, some receiving a benefit, Student Hardship or New Zealand Superannuation are in relationships they haven’t told us about. Until now when an MSD client was found to have dishonestly claimed a single benefit while in a relationship, that client has been solely responsible for paying back the fraud debt. From 7 July 2014, MSD will be able to hold partners of beneficiaries accountable for welfare fraud so the consequences of welfare fraud are shared by both people in the relationship. The new law enables MSD to investigate and prosecute beneficiaries and their partners for relationship fraud and also makes the beneficiary and their partner jointly responsible for repaying the debt. This is known as Relationship Debt Sharing. It applies in all situations where the partner knowingly benefits from money a beneficiary/superannuitant received but wasn’t entitled to, and an investigation by MSD has led to the creation of a debt that needs to be paid back. It’s a much fairer system that holds both people accountable for acting dishonestly. If you have any questions about the new relationship debt sharing law please email NFIU_RDS_Project@msd.govt.nz. When: Saturday 5th July, 4:30pm. See you at Northland Club. Weave a star or flax flower with weaver Glenn McDonald-Spice. Suitable for all ages with no previous flax weaving experience. Come in at any time during the sessions to have a go. Aleki, a master car thief who dreams of navigating by the stars, crosses paths with rebellious teenage girl Spit and faces his future. Rugby league star Tama saves the life of desperate Gunge - an act of heroism that brings tragedy to his own family. 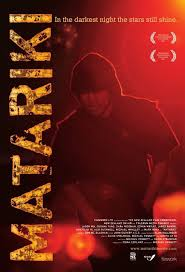 Rick, Tama’s brother, learns to stand up for himself and Megan, Tama’s wife, comes to accept the love that surrounds her; while Lisa, pregnant and wishing on angels, finds a real angel in Tyrone, a big-hearted man who sells Matariki icons in the weekend markets. What is a man without roots? Kiwi road-trip drama following three-piece Wellington reggae band The Pā Boys as they tour the North Island. This marks the feature debut of Himiona Grace with music by Trinity Roots’ Warren Maxwell. New Zealand Sign Language Teachers Association presents Storyfest 2014 in Auckland. Groups and individuals are invited to tell a story using New Zealand Sign Language and be in to win some awesome prizes. To register your performance please fill out this online registration form. For more information please contact storyfest@nzslta.org.nz. Do you want to register your performance for this event? Register before 1st September! Our Employment Consultant, Cheryl Spykerman, will be away from 4th of July and will return to the South Auckland Office on the 15th of July. If you have any urgent enquiries please contact Sue Nicholson. Text 021 969 237 or email sue.nicholson@deaf.org.nz. 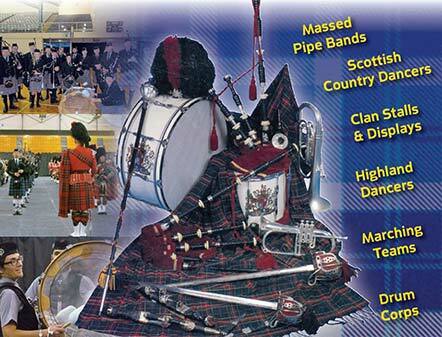 A celebration of Scottish culture with Highland dancing, marching, pipe bands, stalls & displays. Bonjour July! French up your weekend by celebrating Bastille Day in Remuera. Street festival with everything French: music, cancan dancers, mime artists, circus performers, caricature artists, French poodles, classic Citroen cars, interactive meccano displays, a face painter, food and wine. Acclaimed French mime artist, Laurent Decol, is a highlight not to be missed. 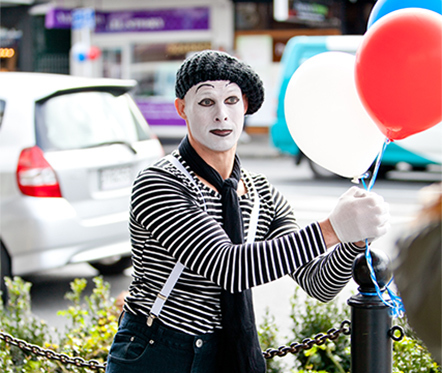 Bring your friends and family for the French festivities in Remuera. There's also a chance to win a trip to Paris, courtesy of Air France and House of Travel. A bientot! School holiday sessions feature the planetarium show Dinosaurs at Dusk. Join Lucy and her father as they travel back in time and meet the ancestors of modern-day birds and experience the 'last day' of the dinosaurs. After the show, have fun with crafts and activities and touch a real meteor from space! Bookings essential. Call 09 624 1246 or book online at their website. There will be a meeting on 15th August at CCS. Squiggle holiday programmes are for children and youth (5 – 13 year olds) who are either bursting with innovation, bubbling with energy, or willing to try something new! If your child has dreams of becoming an engineer, artist, sports player or environmentalist, come to Squiggle holiday programme and we’ll help to create opportunities with your child. Our holiday programme is safe, exciting, engaging and 100% focused on children having fun as well as helping them to grow into their potential of being innovative and a future leader. Your child will participate in our Young Engineers activity that will teach them principles associated with Science, Technology, Engineering and Maths (STEM) whilst having fun with Lego. Young Engineers is run throughout the world and this is the first time it will be offered in New Zealand – by us at Squiggle. 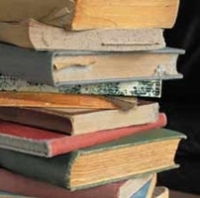 As well as the Young Engineers, children will participate in sporting activities and games, arts and crafts, environmental and financial literacy activities and maybe the odd movie just to make sure we don’t take all the fun out of the holidays! Every day has a ‘theme’ which focuses our activities. For example, Monday’s theme is ‘Sharing and Caring’, so our activities for that day will tie into the theme. Tuesday’s theme is the Environment, Wednesday is Nutrition, Thursday is Health and Wellbeing and Friday is Leadership. Parents and families can come and check out what we’ve been doing at our Squiggle Exhibition held on Friday’s. We hope we’ve talked you into enrolling your child with us, but if we haven’t and you’d like more info, contact us on the above details. New Zealand will face Australia at the 2014 Oceania Inline Hockey Championships. All grades under 20, Masters and Veterans will compete. The overall wins determine the winner of the Trans-Tasman Trophy, currently held by New Zealand. 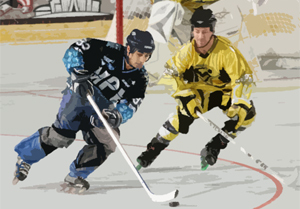 Inline hockey is a fast paced sport very similar to ice hockey. The key differences are that it is played on a dry indoor rink with inline skates, and each team can have four skaters plus a goalie on the rink, instead of the five skaters plus goalie used in ice hockey. Nothing to do? Head off to Greerton Village where there will be a dazzling evening of the night sky with the annual winter IlluminArt Festival. The spectacular light will showcase the best fire dance, shadow puppets, lanterns, light sculpture, projections, UV lights and more. Kids will also love the illuminated face painting, U.V. light dance party and the magical fairy light tunnel. Join the lantern making workshops from 10.30am to 1:00pm daily from Tuesday the 8th July to Thursday the 10th. Download, fill out and return their registration form if you want to join the workshop. Or enter the light art installation competition with prizes to the value of $1000 up for grabs. Animates are running two different workshops (with two sessions each). 20 spots are available per session and are available on a first come first serve basis. No bookings required. This will be an introduction to fish. Learn all about the different types of fish, how much to feed them and how often. Learn about cold water and tropical fish and more. Learn how to look after fish. Learn how to clean the tank, set up, decorate and more. To register for any of the following, call 0800 229727 ext 6000 or register at the ASB Arena reception. Learn Skills, Techniques and games. Learn skills and games. Groups will be split into age and ability. EGLANTYNE is a new one woman play exploring the extraordinary life of Eglantyne Jebb, a courageous, charming, passionate human rights activist, radical fundraiser, social reformer and co-founder of Save the Children. From her idyllic Shropshire childhood, Eglantyne went on to Oxford University and experienced heartbreaks, suffrage rallies, spiritualism, the Balkans, arrest in Trafalgar Square, saving starving children and pioneering universal children’s rights. In 1919, responding with humanitarian zeal to the devastating famine in postwar Europe, Eglantyne and her sister Dorothy founded Save the Children. Eglantyne is one of the most influential women of the 20th century and yet one of the least known. Location: St Josephs Scout Hall, Calver Road. This runs from now until the end of October. Location: Meet at the walkway down from the Hartland place entrance. This new group is looking for more people to join in to keep the section of the Te Henui Walkway from Cumberland Street to Durham Avenue looking good. For more information call Carolyn 06 758 2813. 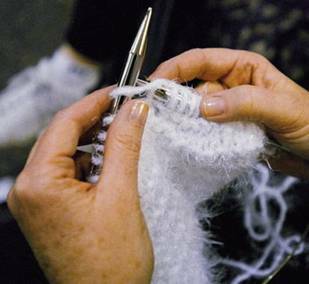 This knitting group is now meeting every Friday and concludes with a cuppa. Date: 1st and 3rd Wednesday of the month. 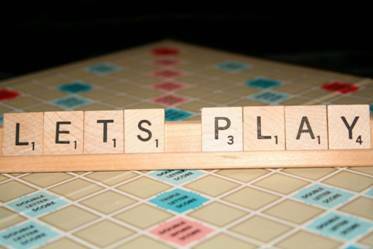 Come along for a game of cards or scrabble, and a cuppa too. All are welcome. Topic: Momo Kauae – moko kauae in contemporary art. Thank you to those Deaf people that came along last Friday to the Hastings Art Gallery looking at some arts involving “moko”. We hope that the Deaf group understanding and know why art is important for people to enjoys by looking at different arts and crafts. 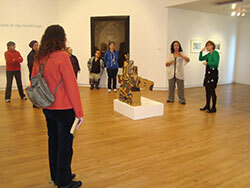 We hope we can do another art tour in near future. Click on photos above for bigger photo. What Does R.S.V.P. Stand For? If R.S.V.P. is written on an invitation card or flyer, it means the invited guest must tell the host whether or not they plan to attend a party or event or programme etc. If you receive an invitation to a wedding, birthday or other big event, it will have R.S.V.P on it. It means that the host want to know if you are coming or not. It helps the host knowing who is coming and who is not. It also help the host with numbers of people maybe for seating or foods or maybe give out handouts and want to make sure they will have enough to give out. 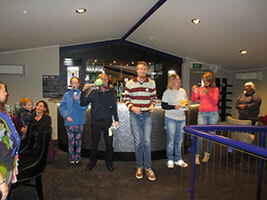 Deaf Aotearoa have programmes and events and sometime we sent out flyers including R.S.V.P. We have had some Deaf people let us know if they are coming or not. Some time Deaf people came but did not let us know but that is okay. We would like to ask the Deaf community that if you do see any of our invitations to any meeting, event or programme, please do let us know whether you are coming or not. It will help us knowing how many people is coming and how many is not coming. Thank you and we are looking forward in seeing more Deaf people coming to our meetings, events and programmes. The Wiggles' Apples & Bananas Tour launches 2014 at a cracking pace! 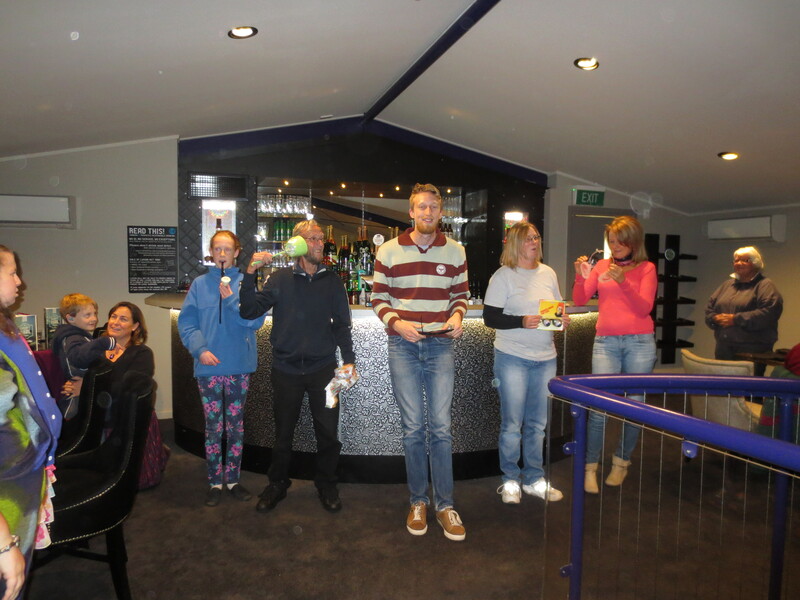 Anthony, Emma, Lachy and Simon start their tour in Tauranga and then travel from July 2 until July 16 entertaining children around most of New Zealand. The Wiggles fame is founded on their all singing and dancing live concerts and the Apples & Bananas tour promises to be one of the best! The Apples & Bananas tour will feature songs from their new Apples and Bananas CD and DVD which is a new collection of nursery rhymes such as "This Old Man" and "The Wheels on the Bus" given The Wiggles magical music touch. The Wiggles most recent CD and DVD went to number one on the iTunes charts (for Hot Potatoes, The Best of The Wiggles), the latest Wiggles hits such as "Do the Propeller" and "Simon Says" are just as popular as anything over their 23 year history. The Apples & Bananas tour will feature these new hits as well as Wiggle classics such as "Hot Potato" and "Rock a Bye Your Bear". The Fab Four of fun will of course be joined by Dorothy the Dinosaur, Captain Feathersword, Wags the Dog and Henry the Octopus! Don't miss your chance to see the most successful children's group of all time. Get your tickets to The Wiggles Apples & Bananas tour quickly, as they'll sell like ... hot potatoes! Palmerston North Deaf Aotearoa office will be closed on the above date as staff will be in Wanganui. 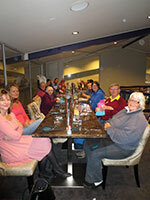 The Wanganui Deaf community will have their monthly lunch club. Bring your own lunch and we will provide coffee and tea. Be good to catch up with what is happening at Deaf Aotearoa and any events or workshops coming up. Manawatu Deaf Society will be closed this weekend because the social club is heading to Turangi for pool competition against two clubs. We wish the team the best and safe travels. Jared Flitcroft has recently been appointed to the role of Employment Consultant. He is Deaf and recently moved back to Wellington from Christchurch. His role is to support Deaf clients with anything employment related. This includes pre-employment support: support with preparing CV’s and cover letters, practicing interview questions and techniques, and working with you to ensure you are work-ready. It also includes ongoing support and regular communication with you and your employer once in employment, which can be used for advice or support with any issues that may arise. If you would like my support, please contact me and I will book you in for an appointment. Mark is holding a fundraising event. There is plenty of tickets available. Please contact Mark for a ticket. Candice, Zoe, Bridget and Jemma have organised a captioned movie of Transformers: Age of Extinction. Please arrive there early to grab your ticket. 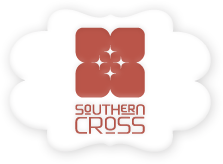 Southern Cross is proud to present yet another big bundle of fun for kids (and parents), starting Saturday 24th May. We're teaming up with KidzStuff theatre and Playshop Theatre to bring you fortnightly theatre productions for the little ones in our guest room. Today, we'll be hosting Playshop's interactive kids theatre productions, where the actors and kids recreate classic fairy tales, using dress ups, props and creative minds! Always loads of hot food, drinks and freshly made bakery goods. Stalls cover items from preserves, toys, babywear, cosmetics, antiques, books, clothing, honey, ethnic food, bric a brac, plants, paintings, material, patterns and loads more. Live music and you have also the chance to have a game of bowls on the green with your kids. Kids love being able to do something fun while parents check out the stalls. Dealers from Australia, Auckland and Wellington will be buying and selling coins, banknotes and medals at the Coin, Banknote And Medal Fair. This fair is on the last day of an international numismatic conference being hosted by the Royal Numismatic Society of New Zealand at West Plaza Hotel over 3-6 July. Special limited edition banknote overprints and medal issues for this conference are available for public purchase only at the fair. If you require interpreter support please contact Cathy Gutschlag on 027 280 7395. Many thanks. Thank you to all that came along to the Mid-Winter Christmas Lunch we all had so much fun. It is always good to see you all. A big thank you to Rachel for organising the event. Click on any of the photos to see a bigger photo. A great evening was had at the Honest Lawyer. The NZSL students really did well having great conversations with our Deaf community. Once again thank you to those that came along. A great fun way to stay fit and healthy! Party Candidates will talk about disability issues, before the General Election on 20th September 2014. It is a opportunity for you to attend and participate in discussions about the important issues affecting you and the disabled community. NZSL interpreters will be provided. Afternoon tea will be provided at 3 pm. RSVP: before 4.00 pm on Friday 1st August to dpachch@cyberxpress.co.nz or text 022 155 6696 for caterings and seating arrangements. An evening of an auction fundraising to raise funds for our Deaf Youth members, two Wellingtionians Zoe Ferguson & Candice David and a Aucklander Jemma Matthewson to attend third WFDYS Children Camp at Gallaudent University in Washing, DC, America. Do you need assistance with your CV, application forms with the above jobs, please contact Ruth Coburn ruth.coburn@deaf.org.nz or text 021 540 195. Come and celebrate the first evening starting of our TV2 KidsFest 2014 with Lantern Parade. You can bring your own lantern, lights or anything that glows! The parade will start from outside the Christchurch City Council building on Worcester Boulevard with exciting finish featuring performances and surprise finale in Cathedral Square. 5.30 pm – parade start from CCC building and arriving in Cathedral Square, where an exciting finale to the parade will commence. If wet – postponed to Sunday 6th July. Anna Hurd, your Community Relations Officer, will be back in the office from next week onwards. Her first day back in the office will be on Tuesday 8th July. Learn the basics of self defence and other ways to keep yourself safe. Taught by John Marrable who is a 5th Degree Black Belt Okinawan Goju Ryu Karate-do. Are you Interested? If you are interested please contact Anna Hurd. Email anna.hurd@deaf.org.nz, fax 03 477 1037 or text 021 276 5646. This is my last newsletter and I want to say a big thank you to everyone for all the help and support you have given me over the past seven months. I have really enjoyed working with you all and am looking forward to seeing you at my farewell. I wish you all the very best for the future. Please note the change of venue. We are now going to the Speights Ale House. Come and say farewell to Fi and enjoy a wonderful meal out. Please let Michelle know if you are coming. Visit their website to get your tickets, and check out the programme and activities available. We’ll see you these July Holidays for family fun at this fabulous Southland event. Offering a selection of crafts, produce, plants and food. Stall holders include: Base Camp Venison Salami, Stewart Island Salmon, Extinct Wooden Toys, Wild Central Otago Honey, Rawleighs, and many local crafters and plant growers. There has been a high number of fires in Southland recently. Six fires in total for this month. I encourage those who do not have fire/smoke alarms to come in and apply for some equipment.